KAMPALA – Barely a week after Moses Basena threw in the towel at embattled 16 time record league champions, SC Villa, they seem to have already found his replacement. The man set to take over the ruins at Villa is a familiar name in Steven Bogere who is a former player and coach at the Jogoos. The latest reports coming in indicate that the interim committee running the clubs is set to appoint Bogere on a short time deal to fill the vacant role. 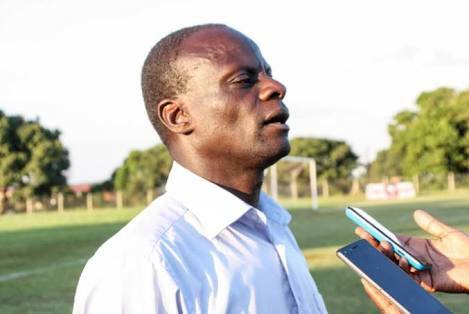 A source that preferred anonymity intimated to this website that Bogere who is currently at FUFA Big League side UPDF FC will take over as the new coach. The source further indicates the committee first reached out to Paul Mukatabala who recommended Bogere to work with him on the new technical team. ”There have been negotiations and Mukatabala recommended Bogere and the two will work together with Bogere as head coach” said the source. Bogere coached SC Villa during the 2014/15 season at the start of Ben Misagga’s regime but was fired just three games into the season. Mukatabala a former player with SC Villa just like Bogere was assistant to Wasswa Bossa last season but quit the club before the end of the season. SC Villa is 14th on the league table with just four points in eight games. The time Basena was in charge, they lost 4 and drew as many in their opening 8 games. Amidst the growing pressure, Basena decided to call it time on his Villa tenure claiming he was not the person to take the club forward.